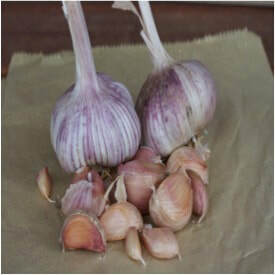 Here is a sample of some of the garlic varieties our members are growing. Has a lovely nutty flavour when cooked and is perfect for baking whole. The cultivar used in Australia was found in a bazaar in Samarkand in Uzbekistan. An early season garlic. Harvested October - November. ​Said to have been brought to Australia by immigrant workers during the construction of the Snowy Mountain Hydro Scheme 70 years ago. 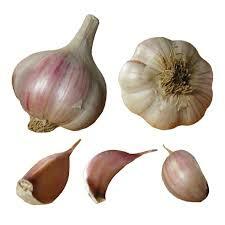 This garlic is a good all rounder with a sweet nutty flavour and some heat. 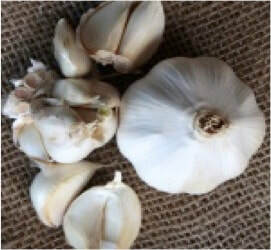 ​​Hot and spicy flavour, sweet and creamy making this a great option for garlic bread. This garlic stores well. 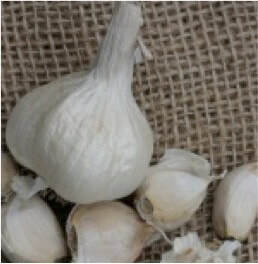 ​Thought to have originated with the Italian communities around Leeton and Griffith, this garlic is rich, sweet and nutty when roasted. 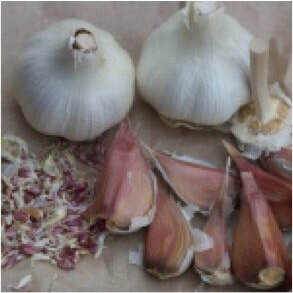 ​This garlic has white bulb skin with white to pale pink cloves. 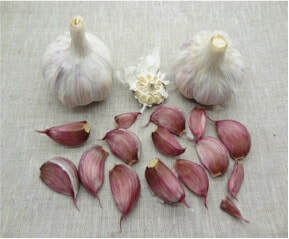 Its mild, pleasant flavour makes it great for eating raw and it sautes with a lovely flavour.